On a recent trip to Liverpool, we decided to take the Shore Road that leads to Western Head. The plan was to try to fish at the point near the lighthouse. 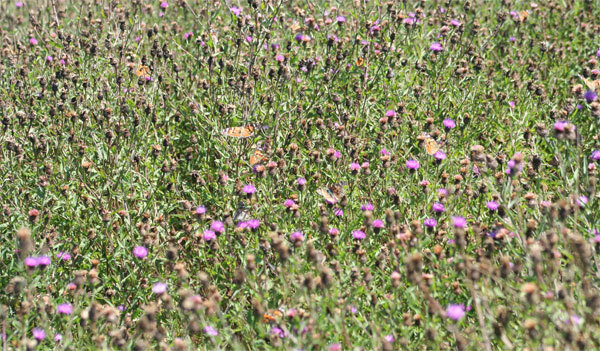 That wasn’t really a possibility, but we were rewarded with the sight of a huge number of butterflies on the knapweed. 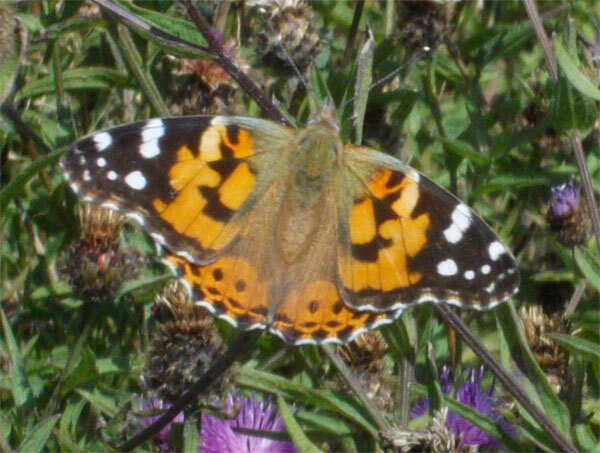 They were mainly Painted Ladies and were here by the hundreds. They flew and settled continuously around me. 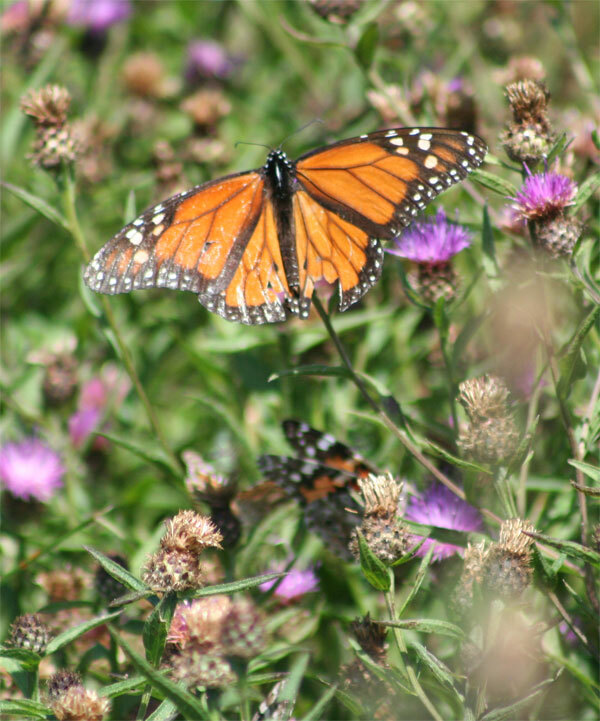 My eye was drawn to a few much larger butterflies – Monarchs. It was only once I was home, that I noticed that this one had torn wings. 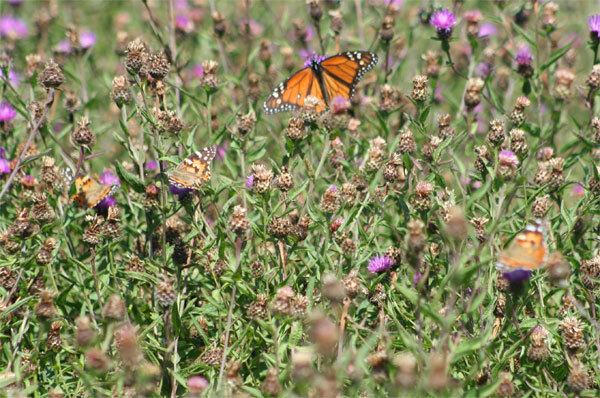 The Monarch butterfly is famous for its migration from Mexico to Canada and then the reverse at the end of the summer. Will this one make it to Mexico? How many butterflies can you spot? I tried to take a video to show the continuous movement of butterflies. It’s not very good, but this next one, which I found on you tube, really shows Monarchs in massive numbers. 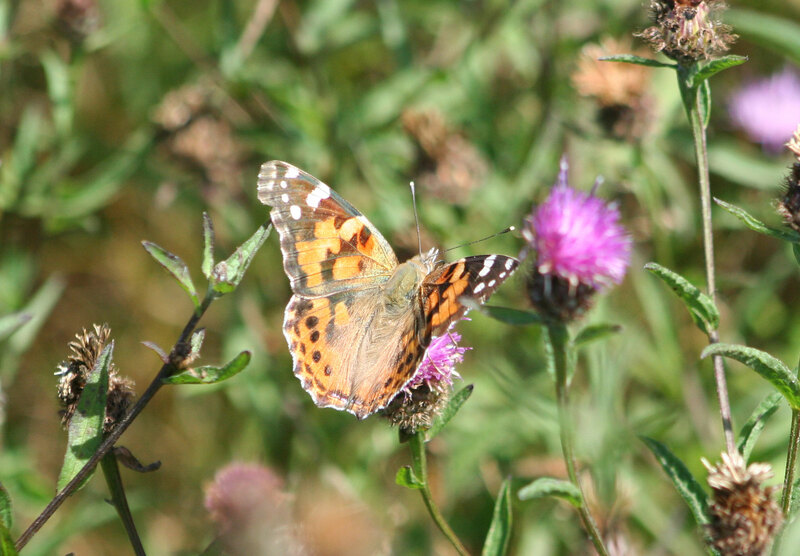 I encountered many of these Painted Ladies on a recent walk at Hartlen Point. Perhaps not hundreds, but MANY and it was wonderful to have them dancing around me. So the small plant that looks sorta like thistle is knapweed ? Is the answer to the “how many butterflies” ? six ? Isn’t it wonderful to be among so many butterflies! We always called that thistle-like flower knapweed. I see that it’s regarded as an ‘alien’ here in Canada. 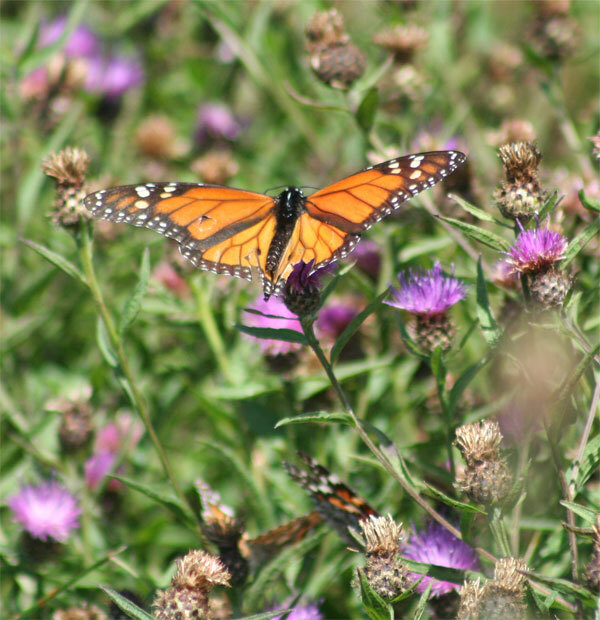 I had one Monarch butterfly in my yard here in Alberta this summer – first one I have ever noticed. It let me take many photos of it, though! As you pointed out, they are quite amazing travelers.